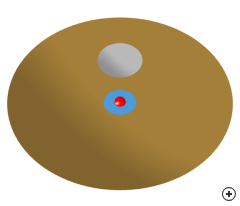 Image of the Pattern-fed axis-symmetrical Cassegrain reflector. 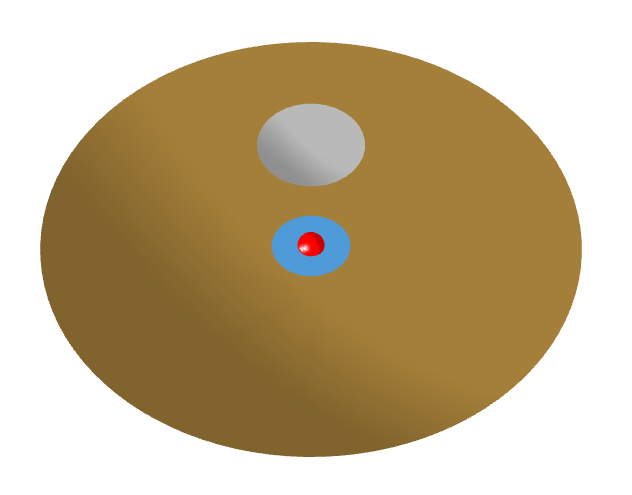 The Pattern-fed Cassegrain dual-reflector is a useful variation of its horn fed counterpart (already in Antenna Magus). One of the main advantages of the Cassegrain topology is that it can be fed from behind the main reflector, minimising blockage caused by the feed horn electronics and waveguide feed structure. 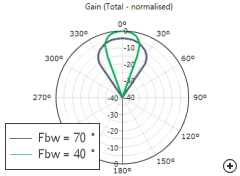 The Pattern-fed Cassegrain dual-reflector in Antenna Magus can be designed for 10 different objective groups. This wide selection offers flexibility that allows users to design for specific parameters (like main reflector and feed antenna properties) based on the specific information and constraints that they have. Note from the next image how the main reflector F/D ratio, feed- and- sub reflector position varies with feed beam width in each design. 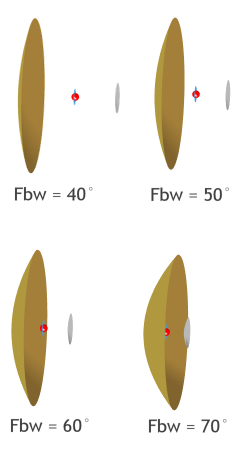 Main reflector designs for varying feed beamwidths. 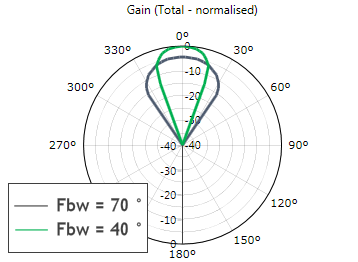 The graphs below show the radiation patterns of the Cassegrain reflector and the feed antenna for an Fbw design of 40 and 70 degrees respectively. 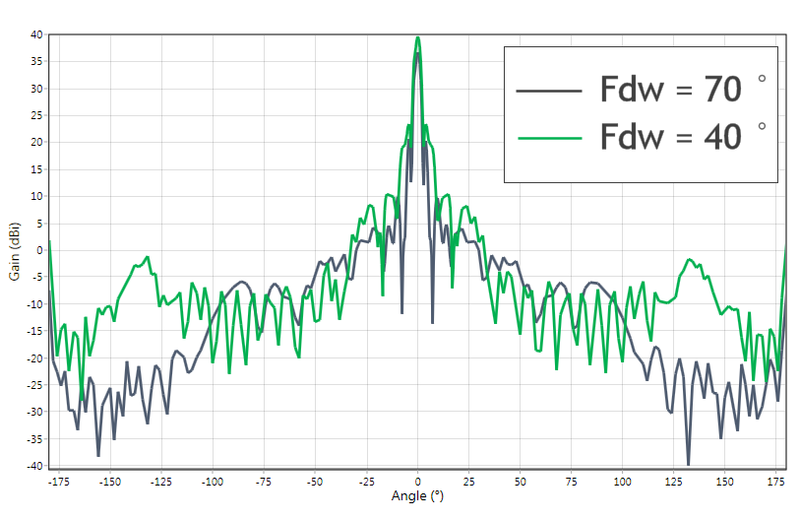 Estimated Pattern-fed Cassegrain radiation patterns for two different feed beamwidth (Fbw) designs. Feed patterns for two different feed beamwidth (Fbw) designs.